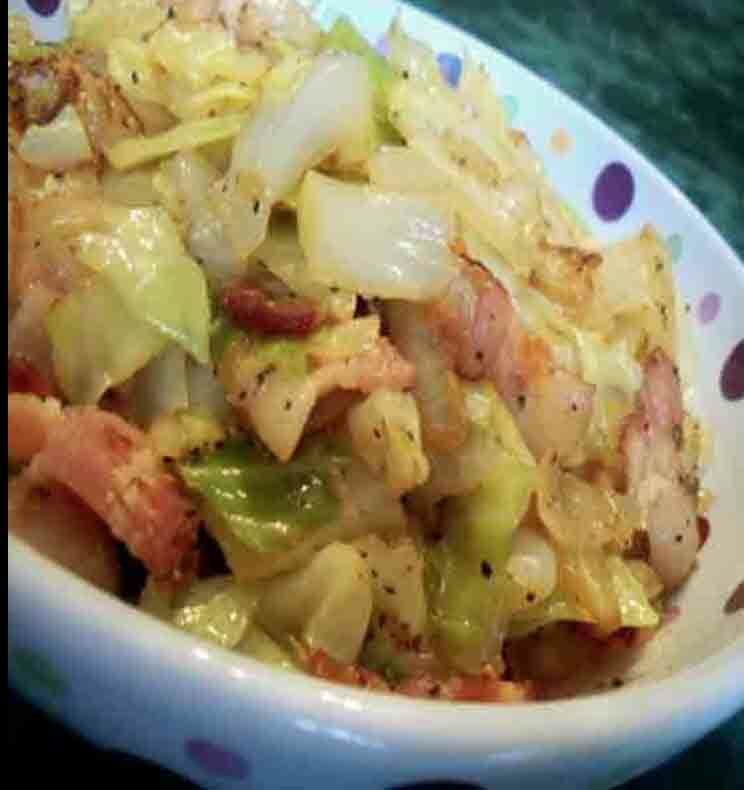 This fried cabbage recipe is delicious and super easy to make with a few ingredients. It comes together in less than 30 minutes! I used to hate cabbage until I tried fried cabbage a few years ago and I really enjoy it now. I made it last weekend for a St.Paddy’s day potluck and there were no leftovers, which was awesome! It goes really well with corned beef, pot roast and grilled chicken . Fry bacon until crisp and well browned. Add chopped onion to the bacon grease and stir until translucent. Add cabbage, pepper flakes, salt and pepper, stirring until all cabbage is coated. Add the crumbled bacon bits and cover. 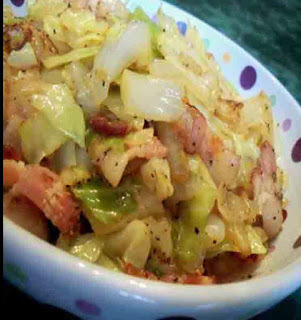 Cook over low heat until cabbage is tender.